Q1. It’s no secret: We LOVE Lems shoes, and we feel very fortunate to work with you. For our readers, can you please tell us a little bit about yourself and Lems. A1. I founded Lems Shoes two years ago in Charlotte, North Carolina, while working as a clerk in a shoe store. Despite studying Landscape Design in college, my passion for shoes and the human foot urged me to take the leap into footwear and start my own company. Getting back to my roots, I decided to build the company and the brand in the town I grew up: Hermitage, Pennsylvania. Although Lems Shoes is currently just a two-man show, we have become a well-oiled machine in which I handle the manufacturing and design, while my colleague, Steve Perna, handles customer service and sales. I have discovered that building a company from scratch can have its ups and downs, yet as the years progress and the sales increase, it is exciting to be able to measure our progress and look forward to what the future has to offer. Q2. Prior to the inception of Lems, we implored several shoe companies, both small and large, to design a shoe that’s completely flat, widest at the ends of the toes, lightweight, and flexible — in other words, a shoe that respects natural foot anatomy. While many individuals within these companies understood the merits of our request, their companies didn’t believe in the marketability of such a shoe. In light of these circumstances, we’re curious about what inspired you to start a footwear company, especially one as unique and unconventional as Lems? A2. The idea to start Lems Shoes came to me four years ago while studying at Purdue University. While on the track team, I consistently laced up footwear the was not only uncomfortable, but looked nothing like the shape of my foot. Ideally, I wanted a shoe that had three characteristics: flat, flexible, and most importantly mirror the shape of my foot. My search led me to countless dead ends, including a custom-made moccasin that met most of my requirements, but which did not appeal to my tastes. After hours of research and inquiry, I came across The Barefoot Running Trend, which was full of many dissatisfied customers that were also searching for a flat, flexible, foot-shaped shoe. Although I found several companies that designed flat and flexible footwear, all of the options I found were much narrower than my foot appeared to be. It was evident that most companies disregarded the true shape of the foot and focused on a narrow toe box, squeezing the toes together inside of the shoe. A foot’s widest point is at the toe, therefore, a shoe’s widest point, should be at the toe as well. I felt it was time something needed to be done, and the shoe I was looking for needed to be created, therefore I took it upon myself to start my very own shoe company and Lems Shoes was born. Q3. How were you introduced to Correct Toes? Q4. What feedback have you received from your customers about wearing Lems and Correct Toes, and about the general natural foot health approach? A4. Some of our biggest fans have been referrals from Correct Toes and patients from Dr. McClanahan’s practice, Northwest Foot & Ankle. These customers understand the importance of spreading the toes and therefore appreciate the unique design of Lems Shoes. We have dozens of success stories from patients that, after switching to Correct Toes and Lems have been able to alleviate a lot of pain that stems from incorrect footwear. After making the switch, one particular customer even called the partnership between Correct Toes and Lems Shoes, a “match made in heaven”. 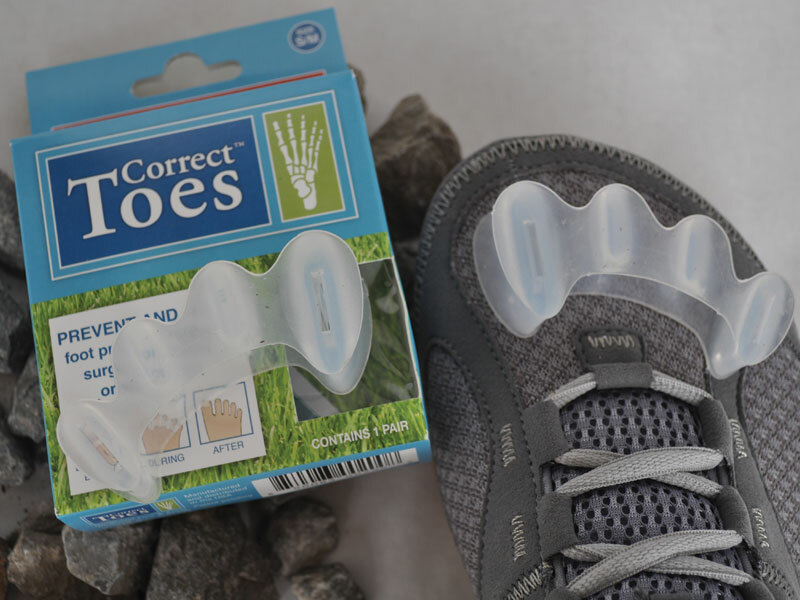 We are humbled and honored to be able to collaborate with Correct Toes in order to cure the chronic foot problems for hundreds of patients that have all but given up hope. Q5. Nowadays, there are several footwear models on the market that label themselves ‘minimalist’ or ‘barefoot-like’, and yet the toe box is still narrow and tapered, which as we well know, does not allow for natural toe splay. Why do you suppose these footwear companies are so resistant to an anatomically-shaped toe box? A5. Shoe companies stick to traditional design standards or fashion trends. Large shoe companies believe, “if it is not broke, why fix it”; therefore they continue to make what has been selling. Unfortunately, narrow, tapered shoe lasts and toe boxes have sold in the past therefore they continue putting them on the market. A shoe with a natural-shaped last is seen as a risky experiment to these companies. It has not been done before, which means there is no proof that it will sell. With that being said, as research continues and foot pain spreads, companies are beginning to experiment by gradually making wider and more anatomical lasts. Although they are beginning to see the advantages of a wide toe box, their developments are extremely gradual and no company has gone to the extremes that Lems Shoes has. A natural, foot-shaped last was the only thing we knew so it only made sense that the shoe we designed had this distinct characteristic. Although risky, we designed our last from scratch, modeling it directly after the human foot instead of modeling it after another shoe company’s design. The risk paid off, our customers have fallen in love with the fit of their Lems, admitting that they have “never worn anything quite like it”. Q6. Please feel free to share a customer or personal testimonial about Lems and Correct Toes, or a customer’s story about a recovery from a foot problem. Q7. Will you offer us a sneak-peak of what’s coming from Lems? A7. At the end of October we will be releasing the Boulder Boot in two new colors, Black and Gravel. The Black is a vegan-friendly option, with an upper that is 100% nylon consisting of no leather or animal by-products. We are proud of the look and feel of the Boulder Boot and think it is one of those signature designs that has a classic and timeless feel. The Boulder Boot is extremely versatile and can be worn throughout the year. It is completely collapsible and perfect for traveling or wearing around town. In January we will be releasing the Men’s Nine2Five in black, arguably the first semi-dress shoe that has a wide toe-box and can be utilized in an office or business setting. Finally we are excited to announce that in the Fall 2014 a completely waterproof version of the Boulder Boot will be released. Q8. Please feel free to share anything else you’d like our readers to know about. A8. 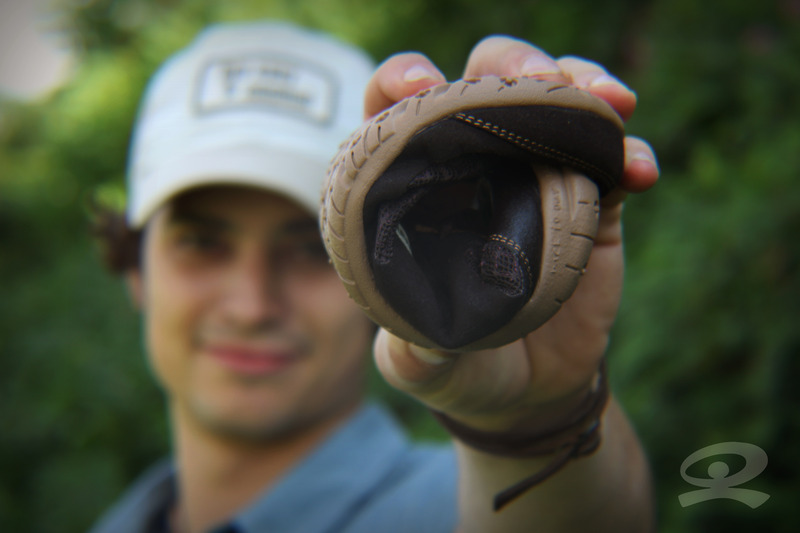 First and foremost, we would like acknowledge Correct Toes, the world’s first toe spacer that can fit inside a shoe and teach natural toe splay! Together, we have enabled hundreds of people to feel how the foot is supposed to naturally function, an opportunity that most people have never experienced in their lifetime. Finally thank you, for giving us the opportunity to share the story of our small but growing company, Lems Shoes. Thank you, Andrew, for sharing your experience, and for your invaluable role in healing foot ailments, world-wide! I have been to Dr. McClanahan’s, Northwest Foot & Ankle. I now wear Lems. I am recovering from years of bad fitting shoes. Seems feet issues runs in my family. I took my 9 year old daughter to see Dr. McClanahan’s and she is on track for the same foot issues. I feel like your company and Dr Dr. McClanahan’s practice, Northwest Foot & Ankle are trying to fix a problem that already exists, which is wonderful, and I am grateful. But here is a challenge, make a shoe for kids – now – so they don’t ever experience the problems we adults are dealing with now. (I have looked for Sneaker shoes for her and they are not out there; flip flops and sandals are, but she needs a Sneaker for gym class and general outdoor play) And being that my daughter is now 10, – hip colors and a bit of bling will seal the deal! I just wondered if all your models are the same width. I’m looking for sg as wide as possible. Please make kids shoes!!! Starting from baby walkers … Can’t find any barefoot shoes for my toddlers and they need these the most!